Last night I declared that my intention was to focus on the swans and the beautiful things in my life. 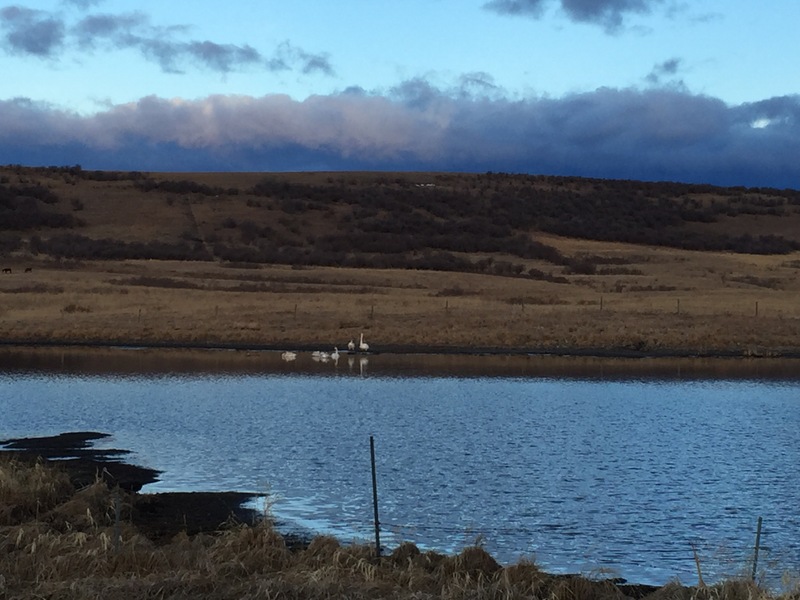 This morning I was instantly gratified with a surprise view of some swans hanging on a slough as we drove to town. 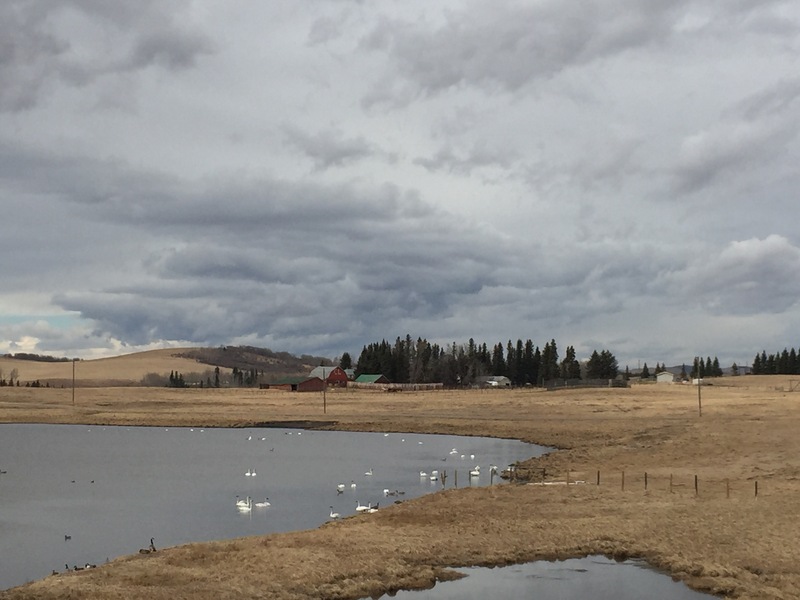 This afternoon, on our return from the city, we had another wonderful swan sighting. Jenna and I had to pull off the road and stand for a while to admire their beauty. The swans in the springtime always make me think of Dad. I still miss him so much, it baffles me that he’s been gone for 10 months already. It still feels so fresh. And yet, here we are heading into another spring. He would have loved standing there with us watching them. I thought the swans were going to be my happiness moment. But then my cousin showed up on my doorstep and invited Jenna and me to go riding with her on Saturday. Even just the thought of going riding is enough to make it my happiness moment for the day.